Quality ingredients make our catering services a taste experience to enjoy. Soft ice cream machine hire, old fashion trikes, frozen yogurt bar, slush, shaved ice, smoothies, pizza van, hot and posh dogs, crepes, Belgian waffles, popcorn, candy floss. 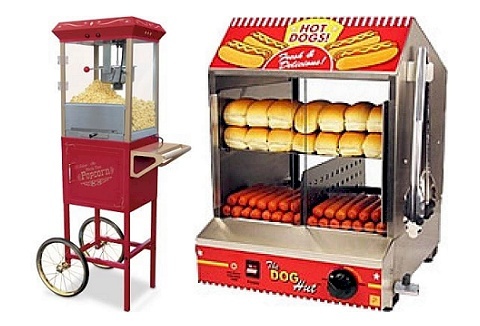 Looking to hire a range of fun food machines for your event, fete or function? Well look no further we specialise in hiring out candy floss & popcorn machines, slush & soft cornetto ice cream machines & chocolate fountains to event & function organisers. 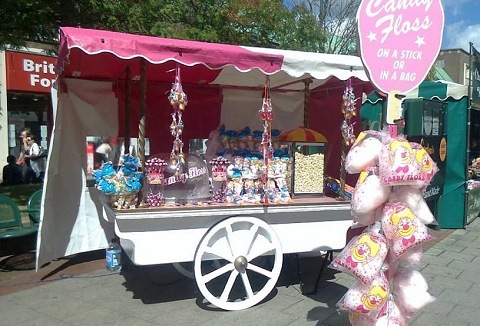 Here at Funday's we have a great range of fun food equipment and carts for you to hire for your event, function or exhibition simply choose from, candy floss and popcorn carts, traditional ice cream cart, Rollover hot dog cart or a Pick 'n' Mix hand cart. We operate a professional fun food equipment hire service that can be hired for you to run yourselves, or we can set up, run and dismantle them at the end of the hire! Just some of our range; slush machines, chocolate fountains, popcorn and candyfloss. 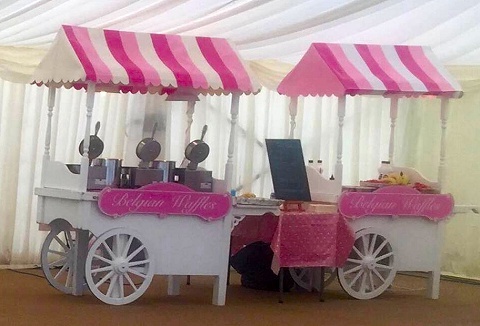 Candy floss machines, popcorn carts, vintage sweet stalls, chocolate fountains and pick and mix stands to add the ultimate WOW factor to your event - whether it's a wedding, party, exhibition we will have a package to ensure your guests are tickled pink! Affordable mobile cart food entertainment hire service for events and functions. 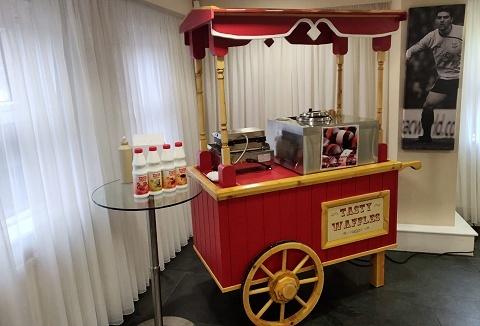 Our wide selection of mobile carts include chocolate fountain, popcorn cart, candy floss, pick n mix hire and leave a lasting impression on your guests long after your event. 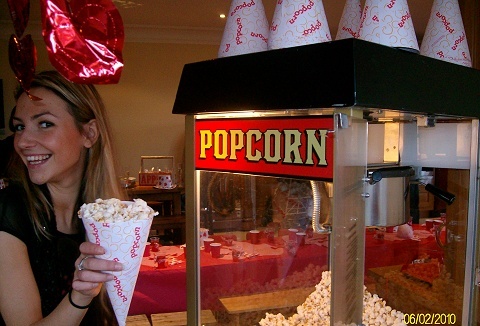 Create the perfect event atmosphere with a range of fun food equipment including popcorn machines (also available with cart & warming cupboard), candy floss machines & chocolate fountains. Fun food hire machines come complete with ingredients & sundries.